A bomb was discovered on the beach at Selsey this morning (Friday June 5). The Coastguard has put up a 30 metre cordon around the device and a spokesperson said the Explosives Ordnance Disposal (EOD) team ws on its way from Aldershot. However, the bomb is below the high water mark and would be covered by the tide by the time the team arrived. 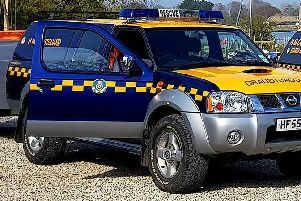 The Coastguard spokesperson said the device was spotted by a passer by at 8.50am on the beach near Bunn Leisure and photos sent to the EOD team. A decision was made to travel to Selsey to deal with the bomb. The Coastguard has no information about the size or type of bomb. We will update the website as further news comes in.